The United States Ambassador to Ghana, Robert P. Jackson, has rejected suggestions that the 63 Ghanaians who were recently deported from the United States were brought back home under inhumane conditions. There are reports that the deportees were handcuffed and forced on board the plane to Ghana. 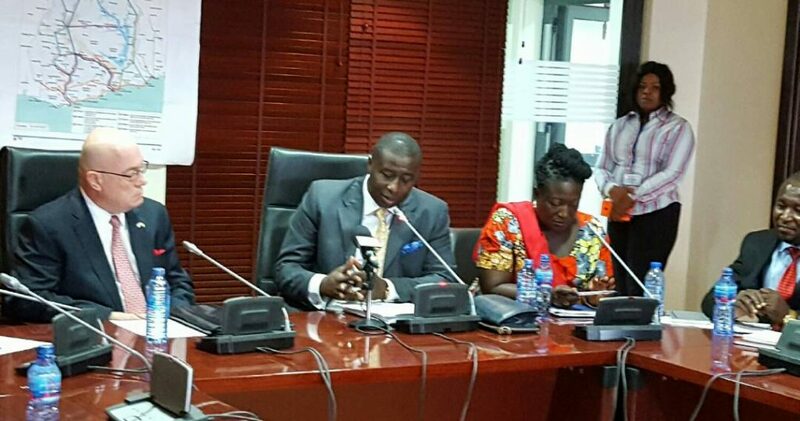 But explaining the incident to the Foreign Affairs Committee of Parliament on Thursday, the Ambassador said that, those Ghanaians were deported involuntarily due to their attempts to resist deportation, although they were staying in the US illegally. He said the deportees had overstayed their visas. He added that, the US government had identified about 7,000 Ghanaian citizens who were staying in the US illegally, and that plans were underway to have they brought back to Ghana. “The 63, who returned recently, arrived in a chartered flight, refused to board a civilian aircraft and return voluntarily. I do not consider the conditions under which they were returned inhumane. They were fed, they had some freedom of movement on the flight. It is not as if they were chained to their seats,” he said. In November 2017, another set of 108 Ghanaians were also deported. It is unclear if the recent deportation is as a result of the immigration policy of current US President Donald Trump. Robert Jackson has said that the US is opened to receive Ghanaians who enter the country and reside legally. He said tens of thousands of Ghanaians are currently in the US working legally and face no threat of deportation.